Pit Lange is a car storage facility in Switzerland with a range of products from classic cars to sports cars. 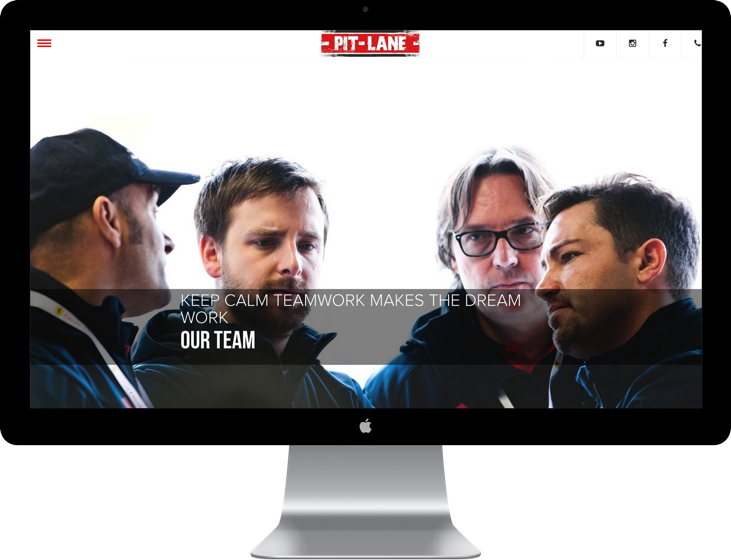 For every new business, like Pit-Lane one of the most efficient and important marketing tool remains a good web presence. Thus Thomas Emmisberger, owner of TBCorse and Pit-Lane was looking for a partner that could take him and his business to the next level. For this project we used WordPress to create a nice website that focuses more on the image than the content. Since it was important for us to support Thomas in contacting his client and potential clients, we have set up professional accounts on social media platforms. Further functions are: event calendar for partner sites and the easy direct contact via the photo gallery for visitors.